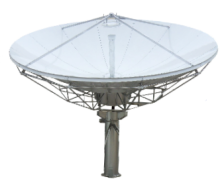 All our large parabolic antenna are 2-degree compliant. The large 12, 13.5, 16 and 20 are 1.5 degree compliant. Pulsed Products - Military Satcom - Ring-Loop - Block Upconverters - Inductive Output Tubes (IOTs) - Ring-Loop TWTs - Multi Pulsed Products - Minis - CW Oscillators - Pulsed Oscillators - Coupled Cavity - RF Decks - Power Couplers - Inductive Output Tubes (IOTs) - Klystrodes - Broadcast - Scientific - Non-broadcast Applications. K2D110w - K27 - millimeter wave - Power Couplers - oscillator power-amplifier systems - redundant or combined systems. - coherent radar chains - cathode or an electrode - multi-stage depressed collector - Millimeter Wave - Gyrotrons - Oscillators - Klystrons - Coupled Cavity - Fully qualified to MIL-E-5400 environment - Couplers - S-Band - C-Band - X-Band - Ku-Band - Ka-Band - W-Band - Q-Band - V-Band - DBS-Band - Tri-Band - S-Band - UHF-Band - L-Band - Multi-Band - Wood crating for export ISPM 15 stamped lumber available. General Dynamics SATCOM Technologies, a leading supplier of satellite and wireless communications products and services for video, voice and data worldwide. SATCOM Technologies offers an exciting range of new communications products and solutions backed by the same high quality and expertise you've come to rely on. 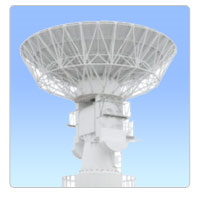 Description: Prodelin Corporation is the world’s largest manufacturer of Rx/Tx VSAT antennas. Polar Mount ant sys. Part # 1305-990 10' foot 3.0 meter AZ/EL ant sys. Part # 1304-990 Broadest product line including Receive Only, Rx/Tx and Rural Telephony antenna systems. All Rx/Tx systems come complete with feed support arms and mount. These are all AZ/EL only with no KingPost. 1 Pallet 51” x 86” x 35" @ 475lbs. Mounts onto 6.5" OD pole. 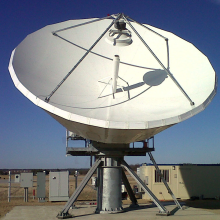 Description: Prodelin Corporation is the world’s largest manufacturer of Rx/Tx VSAT antennas. We have the broadest product line in the industry including Receive Only, Rx/Tx and Rural Telephony antenna systems. Mounts onto 6.5" OD pole. 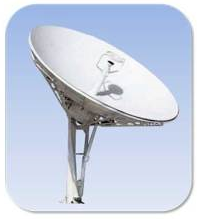 Description: Prodelin Corporation is the world’s largest manufacturer of Rx/Tx VSAT antennas. 12' AZ/EL ant sys. Part # 1374-990 12' Polar Mount ant sys. Part # 1375-990 We have the broadest product line in the industry including Receive Only, Rx/Tx and Rural Telephony antenna systems. All Rx/Tx systems come complete with feed support arms and mount. These are all AZ/EL only with no KingPost. 1 Pallet 80x77x28 @ 650 lbs. Mounts onto 6.5" OD pole. 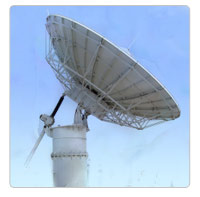 Description: Prodelin Corporation is the world’s largest manufacturer of Rx/Tx VSAT antennas. 12' AZ/EL ant sys. Part # 1374-990 12' Polar Mount ant sys. Part # 1375-990 Part# 1374-470 Part# 1374-360 We have the broadest product line in the industry including Receive Only, Rx/Tx and Rural Telephony antenna systems. All Rx/Tx systems come complete with feed support arms and mount. These are all AZ/EL only with no KingPost. 1 Pallet 80x77x28 @ 650 lbs. Mounts onto 6.5" OD pole. 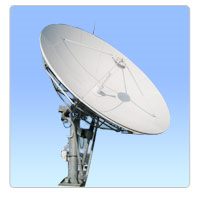 Description: Prodelin Corporation is the world’s largest manufacturer of Rx/Tx VSAT antennas. 12' AZ/EL ant sys. Part # 1374-990 12' Polar Mount ant sys. Part # 1375-990 We have the broadest product line in the industry including Receive Only, Rx/Tx and Rural Telephony antenna systems. All Rx/Tx systems come complete with Feed support arms. and mount. These are all AZ/EL only with no KingPost. 1 Pallet 80x77x28 @ 650 lbs. Mounts onto 6.5" OD pole. 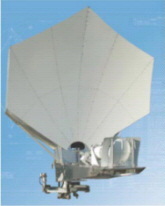 Description: Prodelin Corporation is the world’s largest manufacturer of Rx/Tx VSAT antennas. We have the broadest product line in the industry including Receive Only, Rx/Tx and Rural Telephony antenna systems. All Rx/Tx systems come complete with Feed support arms. and mount. These are all AZ/EL only with no KingPost. Description: Motorizable Mount Prodelin Corporation is the world’s largest manufacturer of Rx/Tx VSAT antennas. We have the broadest product line in the industry including Receive Only, Rx/Tx and Rural Telephony antenna systems. 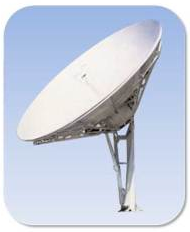 Description: Prodelin Corporation is the world’s largest manufacturer of Rx/Tx VSAT antennas. We have the broadest product line in the industry including Receive Only, Rx/Tx and Rural Telephony antenna systems. Mounts onto 10" OD pole. 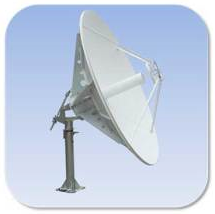 Description: Prodelin Corporation is the world’s largest manufacturer of Rx/Tx VSAT antennas. We have the broadest product line in the industry including Receive Only, Rx/Tx and Rural Telephony antenna systems. Channel Master is the industry leader in over-the-air broadcast entertainment products and solutions for North America, providing the highest quality and value for consumers since 1949. Headquartered in Phoenix, Arizona, our products are available through more than 200 distributors and thousands of retail stores worldwide. Description: Rugged aluminum and steel construction provides 125 mph (200 km/hr) wind survival, in any position. Self-aligning main reflector requires no field alignment. Full operational temperature range –50° to +125° F (–50° +52° C) standard. Fast, simple installation. Russian Homologation Certificate #OC/1-AO-136 limited supply. Description: Engineered for a wide safety margin in high winds, the mount consists of an extremely rigid structure with manual pointing adjustment. Galvanized for long life under adverse conditions. Beam steering necessary for tracking the sidereal motion of the satellite is accomplished by subreflector closed loop positioning, allowing accurate satellite tracking. 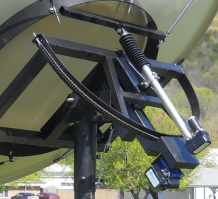 The Andrew 3.5M Ka-Band antenna features a uniquely designed Gregorian subreflector tracking system which eliminates the use of costly jack drives and large motors. 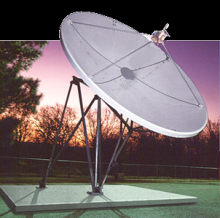 Description: The Andrew 3.7 m C-Band Intelsat Type Approved pedestal mount antenna features dual reflector technology with a 12 piece precision aluminum reflector assembly. The reflector is self-aligning so no field alignment is required. This easy-to-install antenna features high durability with low upkeep. Description: The Andrew 4.0 Meter low-cost earth station antenna provides extremely accurate surface contour, high gain and superior efficiency. ESA Two mount types are available. the pedestal mount antenna allows for motorization applications. The pipe mount is used for fixed applications. An optional enclosure is available for mounting RF equipment at the antenna. 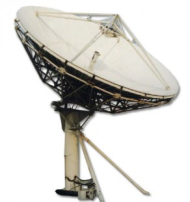 Description: The Andrew 5.6 Ku- and K-band earth station antennas feature a uniquely formed dual reflector Gregorian system coupled with close-tolerance manufacturing provides maximum durability with minimal maintenance. The 5.6M Ku- and K-band antenna features a tripod ground mount fabricated from hot-dipped galvanized steel to ensure extended product life. Description: The superior performance of the Andrew 7.3 meter earth station antenna makes it an excellent choice for high-density data, voice, communications networks and broadcast applications. 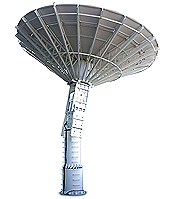 Description: Like all Andrew earth station antennas, the 7.6 m earth station provides high gain and exceptional pattern characteristics. The electrical performance and versatility provide the ability to configure the antenna with a choice of linearly polarized or circularly polarized 2- or 4- port combining networks. The 7.6 M is capable of operation at C-, X-, Ku- and K-bands with the selection of feed and combiner systems. 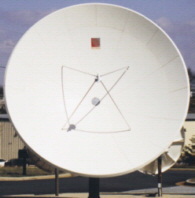 The 7.6 Meter features a computer-optimized dual reflector Gregorian system. 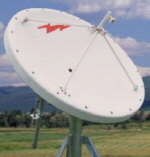 Description: The Andrew 8.1M Ka-band earth station antenna features a uniquely formed dual reflector Gregorian system coupled with close-tolerance manufacturing techniques. The axial symmetric design eliminates beam squint between polarizations. Description: The Andrew 9.3 M earth station antenna system incorporates features and versatility unmatched in its class. The 9.3 M is capable of operation on all major satellite systems. 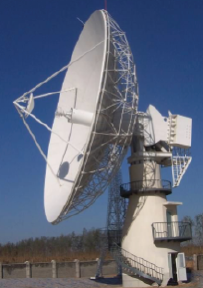 Operation in C-band linear and circular, cross and co-polarization are possible with the proper selection of feed and combiner systems. 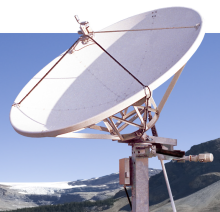 ASI -Alpha Satcom provides a wide range of large antenna solutions in C-band, X-band, Ku-band, DBS, Ka-band and hybrids for both commercial and military applications. Our antennas are designed to offer transmit and receive efficiently to deliver the best quality performance signal to the end user. Our antenna sizes include 6.2-meter, 7.3-meter, 9.0-meter, 11.3-meter and 13.2-meter. Description: Alpha Satcom 6.2M C-Band Earth Station Antenna Features Wide variety of feed options designed to meet the latest international standards. Doubly contoured, high strength, lightweight aluminum panels fabricated on new aircraft quality tooling providing exacting close tolerances. All steel structure are hot dipped galvanized after fabrication providing a thermal homogeneous structure to support operation at high frequencies. Pedestal mounted azimuth jack providing ease of relocation for 190̊ coverage in two 120̊ segments. Generous hub enclosure, 5.97 cubic meters, with easy access for inclusion of RF components. Stainless steel and galvanized metric hardware throughout. Low cost apron type foundation design including anchor bolts and embedded hardware. Three (3) years warranty. S, C, X, Ku, DBS and Ka Band Tx/Rx, 2Tx/2Rx, TT&C, 6 Port Feeds Hybrid, Hi Power and Low Pim Feeds Two and Three Axis Motorization Packages Staircase and Platform for ready access to hub Aircraft Warning Lights Lightning Protection High Wind Designs Low Temperature Designs Deicing for Feed, Reflector and Sub reflector Single or Dual TX waveguide integration from Hub to across upper Az axis Platform Mounted Hand Winch. Description: Alpha Satcom 7.3M C-Band Earth Station Antenna Features Wide variety of feed options designed to meet the latest international standards. Doubly contoured, high strength, lightweight aluminum panels fabricated on new aircraft quality tooling providing exacting close tolerances. All steel structure are hot dipped galvanized after fabrication providing a thermal homogeneous structure to support operation at high frequencies. Pedestal mounted azimuth jack providing ease of relocation for 190̊ coverage in two 120̊ segments. Generous hub enclosure, 5.97 cubic meters, with easy access for inclusion of RF components. Stainless steel and galvanized metric hardware throughout. Low cost apron type foundation design including anchor bolts and embedded hardware. Three (3) years warranty. S, C, X, Ku, DBS and Ka Band Tx/Rx, 2Tx/2Rx, TT&C, 6 Port Feeds Hybrid, Hi Power and Low Pim Feeds Two and Three Axis Motorization Packages Staircase and Platform for ready access to hub Aircraft Warning Lights Lightning Protection High Wind Designs Low Temperature Designs Deicing for Feed, Reflector and Sub reflector Single or Dual TX waveguide integration from Hub to across upper Az axis Platform Mounted Hand Winch. Description: Alpha Satcom 9.0M C-Band Earth Station Antenna Features Wide variety of feed options designed to meet the latest international standards. Doubly contoured, high strength, lightweight aluminum panels fabricated on new aircraft quality tooling providing exacting close tolerances. All steel structure are hot dipped galvanized after fabrication providing a thermal homogeneous structure to support operation at high frequencies. Pedestal mounted azimuth jack providing ease of relocation for 190̊ coverage in two 120̊ segments. Generous hub enclosure, 5.97 cubic meters, with easy access for inclusion of RF components. Stainless steel and galvanized metric hardware throughout. Low cost apron type foundation design including anchor bolts and embedded hardware. Three (3) years warranty. S, C, X, Ku, DBS and Ka Band Tx/Rx, 2Tx/2Rx, TT&C, 6 Port Feeds Hybrid, Hi Power and Low Pim Feeds Two and Three Axis Motorization Packages Staircase and Platform for ready access to hub Aircraft Warning Lights Lightning Protection High Wind Designs Low Temperature Designs Deicing for Feed, Reflector and Sub reflector Single or Dual TX waveguide integration from Hub to across upper Az axis Platform Mounted Hand Winch. Description: Alpha Satcom 11.3M C-Band Earth Station Antenna Features Wide variety of feed options designed to meet the latest international standards. Doubly contoured, high strength, lightweight aluminum panels fabricated on new aircraft quality tooling providing exacting close tolerances. All steel structure are hot dipped galvanized after fabrication providing a thermal homogeneous structure to support operation at high frequencies. Pedestal mounted azimuth jack providing ease of relocation for 190̊ coverage in two 120̊ segments. Generous hub enclosure, 5.97 cubic meters, with easy access for inclusion of RF components. Stainless steel and galvanized metric hardware throughout. S, C, X, Ku, DBS and Ka Band Tx/Rx, 2Tx/2Rx, TT&C, 6 Port Feeds Hybrid, Hi Power and Low Pim Feeds Two and Three Axis Motorization Packages Staircase and Platform for ready access to hub Aircraft Warning Lights Lightning Protection High Wind Designs Low Temperature Designs Deicing for Feed, Reflector and Sub reflector Single or Dual TX waveguide integration from Hub to across upper Az axis Platform Mounted Hand Winch. ASC Signal Division fixed earth stations range from 1m up to 9.4m configured in receive-transmit or receive-only mode. They offer outstanding electrical performance and exceptional versatility to support multi-beam configuration, with low-PIM capability for all X-band systems. The company's antennas provide an extremely accurate surface contour resulting in exceptionally high gain and closely-controlled pattern characteristics. High-quality manufacturing ensures maximum durability with minimal maintenance. Description: Like all ASC Signal earth station antennas, the 3.7 Meter Earth Station Antenna provides high gain and exceptional pattern characteristics. This antenna system is designed to address the stringent requirements of both the television broadcast industry and telecommunications network operators who demand unsurpassed flexibility and electrical performance in high-quality, cost-effective, and reliable packages. The electrical performance and exceptional versatility provides the ability to configure the antenna with your choice of linearly- or circularly- polarized 2- or 4- port combining networks. That versatility is provided at the time of initial purchase, as well as in the future, as your satellite communication requirements evolve. 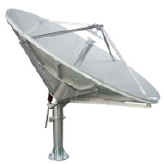 Description: This ASC Signal 3.7M High Wind Earth Station Antenna is designed to address the stringent requirements of both the television broadcast industry and telecommunications network operators who demand unsurpassed flexibility and electrical performance in high-quality, cost-effective, and reliable packages. The electrical performance and exceptional versatility provides the ability to configure the antenna with your choice of linearly- or circularly- polarized 2- or 4- port combining networks. That versatility is provided at the time of initial purchase, as well as in the future, as your satellite communication requirements evolve. Description: This antenna system is used worldwide in broadcast applications and high density data, voice and communications networks. 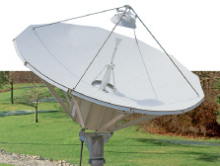 The ASC Signal 4.0 meter earth station antenna features a computer-optimized dual reflector Gregorian optics system and close-tolerance manufacturing techniques C, X, Ku, Band Capabilities. Description: Configure the antenna in C-, X- and Ku-bands with the proper selection of feed and combiner systems. That versatility is provided at the time of initial purchase, as well as in the future, as your satellite communication requirements evolve. This antenna system is used worldwide in broadcast applications and high density data, voice and communications networks. 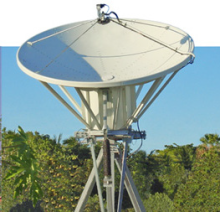 The ASC Signal 4.5 meter earth station antenna features a computer-optimized prime focus optics system and close-tolerance manufacturing techniques. provided at the time of initial purchase, as well as in the future, as your satellite communication requirements evolve. Description: Like all ASC Signal earth station antennas, the 4.5 Meter high wind Earth Station Antenna provides high gain and exceptional pattern characteristics. This antenna system is designed to address the stringent requirements of both the television broadcast industry and telecommunications network operators who demand unsurpassed flexibility and electrical performance in high-quality, cost-effective, and reliable packages. Description: This antenna system is used worldwide in broadcast applications and high density data, voice and communications networks. 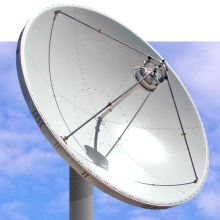 The ASC Signal 4.9 meter earth station antenna features a computeroptimized dual reflector Gregorian optics system and close-tolerance manufacturing techniques. This combination provides extremely accurate surface contour resulting in exceptionally high gain and closely controlled pattern characteristics. Description: The unique design of the 5.6 meter Ka-band pedestal eliminates the need for critical foundation orientation. Each pedestal is engineered with self aligning bearings of the elevation pivots. In addition, azimuth/ elevation anti-backlash ball jacks are incorporated to provide smooth positioning of the antenna. 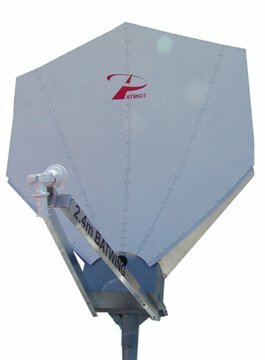 The electrical performance and exceptional versatility provides the ability to configure the antenna with your choice of linearly- or circularly- polarized 2- or 4- port combining networks The 5.6 meter Ka-band antenna is offered with two hub sizes to accommodate a variety of RF electronics integration packages. Description: The 6.5 M High Wind is capable of operation at L-,S-,C-, X- and Kubands with the selection of feed and combiner systems. The versatile kingpost pedestal mount, features 180o azimuth coverage in three contiguous 120o overlapping ranges, and 90o continuous elevation adjustment. This large range of adjustment provides non-critical foundation orientation, and the ability to view geostationary satellites, from horizon-to-horizon, from any location worldwide. L-, S-, C-, X-, Ku-band Operation. ITU-R S.580 and S-465 200 mph (320 km/h) survival at 90° elevation. Description: This antenna system is used worldwide in broadcast applications and high density data, voice and communications networks. 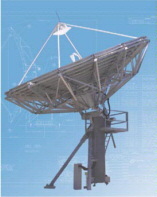 The ASC Signal 7.6 meter high wind earth station antenna features a computer-optimized dual reflector Gregorian optics system and close-tolerance manufacturing techniques. The 7.6 M High Wind is capable of operation at C-, X-, Ku- and Kbands with the selection of feed and combiner systems. The versatile kingpost pedestal mount, features 180o azimuth coverage in three contiguous 120o overlapping ranges, and 90o continuous elevation adjustment. This large range of adjustment provides non-critical foundation orientation, and the ability to view geostationary satellites, from horizon-to-horizon, from any location worldwide. elevation. Description: The 8.1m antenna is offered with an extended AZ motorizable mount allowing 200o travel coverage. This antenna can be provided with the NGC motorization and/or the ASC Signal Sub-reflector tracking system SRT for Ka band application. The combination of the NGC and the SRT tracking system can allow the tracking on up to 6 axis.. Monopulse Tracking Capabilities for Ka-Band >200o Continuous Azimuth Travel Range Low PIM Capabilities. Description: The 8.1m antenna is offered with a manual or motorizable mount allowing 225 degrees of total pointing coverage in multiple overlapping continuous travel segments of 45 degrees. This antenna can be provided with NGC controlled mount motorization and/or the ASC Signal Sub-reflector tracker (SRT) for high throughput Ka-band applications. The NGC control system combined with the motorized mount and SRT provides pointing and tracking capability on up to 6 axes of movement. 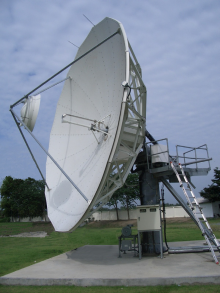 Description: This Intelsat B compliant antenna system is used worldwide in broadcast applications and high density data, voice and communications networks. 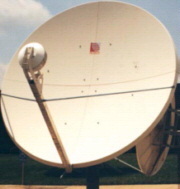 The ASC Signal 9.3 meter earth station antenna features a computer optimized dual reflector Gregorian optics system and close-tolerance manufacturing techniques. Description: The 9.4 meter extended azimuth antenna provides also Monopulse tracking capabilities for Ka-Band application. This antenna system is used worldwide in broadcast applications and high density data, voice and communications networks. 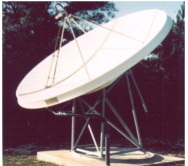 The ASC Signal 9.4 meter earth station antenna features a computer optimized dual reflector Gregorian optics system and close-tolerance manufacturing techniques. This antenna system is designed for worldwide use in C-, Ku-, KKa- and X- Band Low Pim high density data and communications networks. 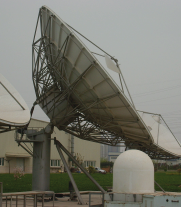 Chinese and global satellite communications requirements. As a Chinese leading antenna manufacturer, China Starwin always continue to devote to the Innovative engineering solutions by supplying evolutionary flat terminal , VSAT Antenna, on the move Rx only antenna for vehicle and shipping vessel etc. Besides that, China Starwin can also supply earth station antenna from 1.2m, 1.8m, 2.4m,3m, 3.7m, 4.5m, 5.3m,6.2m,7.3m,9m,11m,13m,16m C,Ku,X, Ka band etc. with installation and commission test ,training services, flyaway antenna, vehicle mounted antenna, on the move antenna and maritime antenna etc. Description: 3.0 meter antenna delivers exceptional high performance for transmit/receive application in C ,Ku, Ka, X band in Tx/Rx 2 port or Rx 1 port with high gain ,low noise and low microwave interference. China Starwin 3.0M C-Band Earth Station Antenna offers a fine reflector design with a stretch formed double contoured panels, strong back struts and hub fore ease of field alignment. The standard designed azimuth over elevation pedestal provides a cost-effective solution for ground or roof installation with high stiffness and stability , full orbital arc coverage and fine drive performance, and ensures the pointing and tracking accuracy. Description: S-Band 3.0 meter antenna delivers exceptional high performance for transmit/receive application in C ,Ku, Ka, X band in Tx/Rx 2 port or Rx 1 port with high gain ,low noise and low microwave interference. China Starwin 3.0M C-Band Earth Station Antenna offers a fine reflector design with a stretch formed double contoured panels, strong back struts and hub fore ease of field alignment. The standard designed azimuth over elevation pedestal provides a cost-effective solution for ground or roof installation with high stiffness and stability , full orbital arc coverage and fine drive performance, and ensures the pointing and tracking accuracy. Description: China Starwin 3.7M Antenna delivers exceptional high performance for transmit/receive application in C ,Ku, Ka, X band in Tx/Rx 2 port or Rx 1 port with high gain ,low noise and low microwave interference. China Starwin 3.7M Antenna offers a fine reflector design with a stretch formed double contoured panels, strong back struts and hub fore ease of field alignment. The standard designed azimuth over elevation pedestal provides a cost-effective solution for ground or roof installation with high stiffness and stability , full orbital arc coverage and fine drive performance, and ensures the pointing and tracking accuracy. 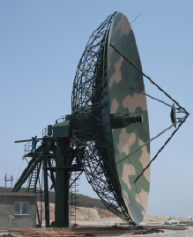 Antesky produce VSAT + TVRO antenna according to Military Standard.Our VSAT antenna include 2.4m ,3m ,3.7m and 4.5m VSAT antenna.The frequency band include C band,Ku band,X band,S band band and ka band VSAT antenna. 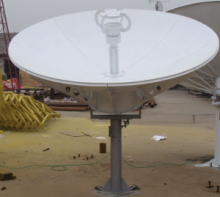 Satellite dish antenna include 6.2m ,7.3m ,9m ,11.3m,13m and 16m large satellite dish. manual and atumatice pointing flyaway antennas. 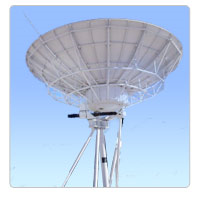 FULL-MOTION ANTENNAS are applied for Telemetry,Tracking & Command/Remote sensing Antennas. Description: 3.0m X-band antenna is a rugged, reliable antenna system with high efficiency and at the same time successfully withstand the effects of the environment. This antenna is aluminum ring-focus type antenna available for a wide range of applications. Superior electrical performance. Description: The most advanced forming theoretical design, which possesses the performance of high gain, low side lobe, low cross polarization and fair matching, and fully satisfies the international standard. Description: 3.7-meter C/Ku earth station antenna, which uses a shaped parabolic reflector, provides high gain and exceptional pattern characteristics as well as low VSWR. The structure has the characteristics of higher accuracy and strong rigidity. Description: 3.7 Meter X-Band antenna. Good electrical performance. Customized feed system. Hot-dip Galvanized structural steel. High-quality structure with guarantee. Penetrating or Non-penetrating Mount option. Description: The 4.5 meter antenna panels are made of stretch-formed aluminum sheet and riveted on the precise mould; such structure has the characteristics of higher accuracy and strong rigidity. Can be used for a wide variety of applications. 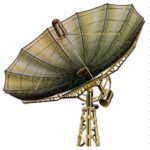 Description: 4.5 meter VSAT Antenna uses a shaped parabolic reflector. It provides high gain available for a wide range of applications including wireless telecommunication service providers, Internet service provider, system operators and broadcasters throughout the world. Description: 6.2 meter Earth Station Antenna, which uses a shaped parabolic reflector, provides high gain and exceptional pattern characteristics as well as low VSWR. The panels of the main reflector are comprised of aluminum sheets and ribs which are stretch-formed, and are riveted on the special mould. Hot-dip Galvanized structural steel. Self-aligning reflectors without using theodolite. Guaranteed high-qualified antenna structure. Fixed or motorizable pedestals. Faster and cheaper system implementation. Stainless steel hardware. Description: 7.3-Meter C/Ku-band antenna features advanced dual-reflector technology precision formed aluminum reflector assembly. The main reflector is self-aligning, eliminating the requirement for field alignment so its electric performance can fully meet the specifications associated with the international standards. Description: 9.0-Meter C/Ku-band antenna uses a shaped parabolic reflector, provides high gain and exceptional pattern characteristics as well as low VSWR. This antenna features advanced dual-reflector technology precision formed aluminum reflector assembly. The main reflector is self-aligning, eliminating the requirement for field alignment so its electric performance can fully meet the specifications associated with the international standards. Description: 11 meter antenna uses highly effective corrugated horn feed, provides high gain and exceptional pattern characteristics as well as low VSWR. The antenna system can fully meet the specifications associated with the international standards. Description: The reflector is a composite structure in which the panels are stretch-formed and riveted with its rings and ribs with high accuracy and supported with backups so as to meet the designed surface accuracy. Description: 13-Meter earth station antenna system of trussed type search and track the Satellite singles among the regulated operational frequency in the random. Provides high gain and exceptional pattern characteristics as well as low VSWR. Description: 16 meter antenna system of trussed type search and track the Satellite singles among the regulated operational frequency in the random. Provides high gain and exceptional pattern characteristics as well as low VSWR. The reflector is a composite structure in which the panels are stretch-formed and riveted with its rings and ribs with high accuracy and supported with backups so as to meet the designed surface accuracy. Available for a wide range of applications. Description: 18.5 Meter antenna system. Optional C-band, ku-band, ka-band frequency. Linear or Circular Polarized feed system as option. 2 port or 4 port available as option. Feed horn has the characteristics of highly effective corrugated horn, wide beam width and highly-purified Polarization. High reliable and anti-hash environment ability. The design is more humane, more convenient to operate. Adopt AC Speed motor drive control system, reliable and convenient to operate. Description: 20 Meter antenna optional C-band, ku-band, ka-band frequency. Linear or Circular Polarized feed system as option. 2 or 4 port available as option. High reliable and anti-hash environment ability. The design is more humane, more convenient to operate. Adopt AC Speed motor drive control system, reliable and convenient to operate. Advantech Wireless is the leading wireless broadband communications solution provider for Commercial, Critical Infrastructure & Government and Military clients. Our smarter solutions give clients the freedom reach farther, to achieve reliable connectivity anywhere in the world, and accomplish critical missions of global significance. Description: A-Line Series 2.4 meter antenna adopts Dual Shaped Compact Cassegrain precision-formed reflector mounted on an Az over El pedestal providing necessary stiffness and pointing accuracy required in C and Ku band operation. It is provided with a Rx/Tx (2 ports) feed with corrugated horn and OMT and is of optimized R.F. specification, operates in circular or linear polarization selectable manually and meets any requirements of customers for particular applications. Description: A-Line Series antennas are designed and manufactured in batches 3.7 meter aluminum reflector antenna for VSAT applications in C band (Model C37T) and Ku band (Model K37T). The A-Line 3.7 meter antenna adopts Dual Shaped Compact Cassegrain precision-formed reflector mounted on a Az.over El. 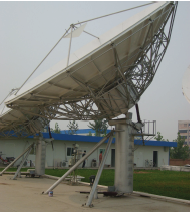 pedestal providing necessary stiffness and pointing accuracy required in C and Ku band operation. It is provided with a Rx/Tx (2 ports) feed with corrugated horn and OMT and is of optimized R.F. specification, operates in circular or linear polarization selectable manually and meets any requirements of customers for particular applications. 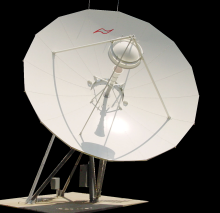 The A-Line 3.7M antenna meets the regulations of CCIR 580-4 and have been type approved by ASIASAT and INTELSAT. The 3.7M antenna can enter ASIASAT-2 and INTELSAT Network without the need of certification test after installation on sites. Description: A-Line Series antennas are designed and manufactured in batches with 4.5 meter aluminum reflector antenna for VSAT applications in C band (Model C45T) and Ku band (Model K45T). The A-Line Series 4.5M antenna adopts a Dual Shaped Compact Cassegrain precision-formed reflector mounted on an El over Az pedestal providing necessary stiffness and pointing accuracy required in C and Ku band operation. It is provided with a Rx/Tx (2 ports) feed with corrugated horn and OMT and is of optimized R.F. specification, operates in circular or linear polarization selectable manually and meets the customer’s requirements for any application. The A-Line Series 4.5M antenna meets the regulations of CCIR 580-4 and has been type approved by ASIASAT and INTELSAT. The A-Line Series 4.5m antenna can enter ASIASAT-2 and INTELSAT Network without the need of certification test after installation on site. Description: 6 meter A-Line Series antennas are designed and manufactured in batches with 6-meter Dual-shaped Compact Cassegrain all aluminum reflector antenna for VSAT applications in both C band (Model C3956T) and Ku band (Model K6T). The A-Line Series C3956T and K6T models adopt a precision-formed reflector mounted on an Az over El pedestal providing necessary stiffness and pointing accuracy required in C and Ku band operation. It is provided with a feed with corrugated horn and OMT and is of optimized R.F. specifications, operates in circular or linear polarization selectable manually and meets any requirements of customers for particular applications.The A-Line Series C3956T and K6T antennas meet the regulations of CCIR 580-4 and have been approved by ASIASAT, INTELSAT, CHINASAT, etc. Description: A-Line Series 7.3 meter antenna system, Model 3957TC and Model 3957TK, are designed and manufactured with CAD, and are compliant withthe newly updated INTELSAT (IESS)Earth station standards. The Advantech Wireless A-Line Series 7.3M antenna system consists of dual shaped Cassegrain reflectors, a frequency reused feed network with corrugated horn, an elevation-over-azimuth limited motion kingpost pedestal. 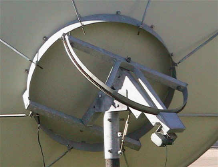 The backing structure for the reflector, the hub connecting the main reflector with mount and the pedestal provides the guaranteed pointing accuracy required in C band and Ku band operations. The Advantech Wireless A-Line Series 7.3M antenna system has characteristics of high gain, low sidelobes, low cross polarization, capable for frequency reuse both in transmit and receive bands, and hashigh position control accurancy. The radiation patterns meet the associated requirements of INTELSAT IESS, and CCIR for satellites at 2 degrees spacing location in geo-stationary orbit. 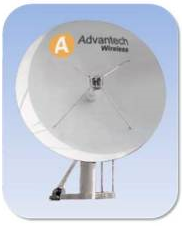 Description: This high performance Advantech Wireless A-Line Antenna Series 9 meter antenna can operate at C-band, Ku or DBS band for world wide applications. 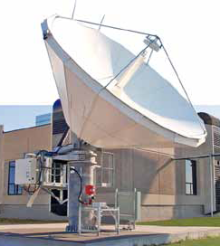 The 9M antenna system, designed and manufactured with CAD, can be applied to the newly updated INTELSAT (IESS) standard B and E earth station. The Advantech Wireless A-Line Antenna Series 9M system consists of dual shaped Cassegrain reflectors, a frequency reused feed network with corrugated horn, an elevation-over-azimuth limit motion kingpost pedestal. 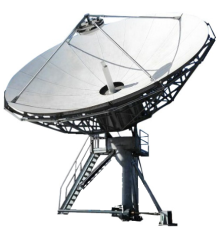 The backup structure for the reflector, the hub connecting the main reflector with mount and the pedestal provides the guaranteed pointing accuracy required in C band and Ku band operations. The main reflector consists of 48 precision stretch formed aluminum panels riveted with the rings and radials in three rings. Antenna system is characteristic of high gain, low sidelobes, low cross polarization, capable for frequency reuse both in transmit and receive bands, high driving/control accuracy with angle position display in high resolution. The radiation patterns meet the associated requirements of INTELSAT (IESS), FCC and CCIR for 2å¼spacing location of geostationary satellites. Description: A-Line Series 9 meter Ka-Band antenna system from Advantech Wireless is designed and manufactured with CAD, which can be applied to GEO satellite tracking station. 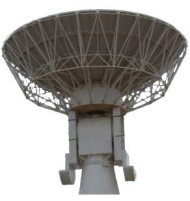 The backup structure for the reflector, the hub connecting, the main reflector with mount and the pedestal provides the guaranteed pointing accuracy required in Ka-band operation. The antenna system is characteristic of high gain, low side-lobe, low noise temperature, low cross polarization, capable for frequency reuse both in transmit and receive bands, high driving/control accuracy with angle position display in high resolution. The 9m Ka-Band antenna system from Advantech Wireless meets the standard of CCIR-REC580, ITU. Description: A-Line Antenna Series 11 meter Ku-Band Compliant with ITU-R S.586-6 Modified Cassegrain Optics High G/T, Excellent pattern Characteristics Hot-dipped Galvanized steel ground mount assembly Motorization with manual control Ladder & Platform compliant to International Standard Hub Integration for SSPA/SSPB. Options De-ice system Paint over galvanize Turnkey Installation & Test Integrated LNB and LNB system Monopulse mode coupler Monopulse tracking system CP/LP switchable feed. applications. Description: A-Line Antenna Series models 3913TCX, 3913TCK, 13 meter antenna system, designed and manufactured with CAD, can be applied to the newly updated INTELSAT (IESS) standard earth station. The A-Line antenna system consists of dual shaped Cassegrain reflectors, a frequency reuse feed network with corrugated horn, an elevation-over-azimuth limit motion kingpost pedestal. 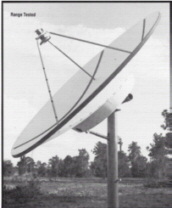 The backup structure for the reflector, the hub connecting the main reflector with mount and the pedestal provides the guaranteed pointing accuracy required in normal operation. The main reflector diameter consists of 80 precision stretch formed aluminum panels riveted with the rings and radials in three rings. Advantech Wireless A-Line Series antenna system is characteristic of high gain, low sidelobes, low cross polarization, capable for frequency reuse both in transmit and receive bands, high driving/control accuracy with angle position display in high resolution. The radiation patterns meet the associated requirements of INTELSAT (IESS), FCC and CCIR for 2 degree spacing location of geostationary satellites. 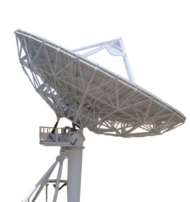 Description: A-Line Series model 3913TKATHA, 13.5 meter Ka-Band antenna system, designed and manufactured with CAD, is designed to meet the most stringent requirements of high throughput , high power, Ka-Band Satellite Transmission links. The antenna design meets the CCIR 580-5 mandatory requirements The antenna system consists of dual shaped Cassegrain reflectors, RF subsystem, with Advanced Satellite Tracking, antenna structure subsystem, safety devices, motorization kits per AZ, El, and Pol. Axis and foundation anchoring kits. 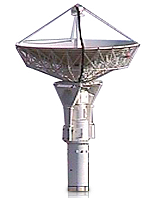 The backup structure for the reflector, the hub connecting the main reflector with mount and the pedestal provides the guaranteed pointing accuracy required in normal operation. Gene Sorgi Patriot Antenna systems a leading manufacturer of world-class antenna systems and mounts. We have the capability to build antennas ranging from 1.0-meter quick-deploy models, to 12-meter earth stations. We also design and manufacture trailers for systems that require mobility. Description: New design for superior performance. Extra support ribs for added rigidity in wind. 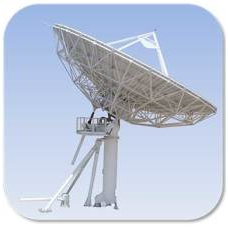 Challenger Communications is a leading manufacturer of world-class antenna systems and mounts. 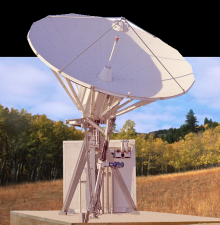 We have the capability to build antennas ranging from 1.0-meter quick-deploy models, to 12-meter earth stations. We also design and manufacture trailers for systems that require mobility. Description: Challenger Communications 6.3 Meter Prime Focus Antenna is manufactured in the United States and is the symbol of quality in the antenna industry. Contoured petals with matched radial beams and hub assembly ensure easy installation without field alignment. NO CRANE NEEDED! Two persons can install this antenna using only a ladder. Reflector consists of 16 draw die formed petals. Radial beams are constructed of aluminum. The contoured petals and outboard skirts are powder coated. Stainless steel hardware is included. Description: Challenger Communications 7.3 Meter Prime Focus Antenna is manufactured in the United States and is the symbol of quality in the antenna industry. Contoured petals with matched radial beams and hub assembly ensure easy installation without field alignment. NO CRANE NEEDED! Two persons can install this antenna using only a ladder. Reflector consists of 16 draw die formed petals. Radial beams are constructed of aluminum. The contoured petals and outboard skirts are powder coated. Stainless steel hardware is included. Featuring solid spun aluminum Receive only Prime Focus antennas. Sectional antennas available in the 2.4m, 2.7m, 3m, 3.7m, 3.8m, 4.2m, 4.5m and 5m. Custom sizes are available. Can produce dishes to the exact size, thickness, and edge design required. 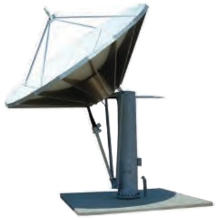 We developed proprietary equipment that is used to manufacture the parabolic antenna. With this fully automatic equipment, we are able to spin antennas from 2’ thru 16’ in diameter. All antennas are spun on either steel machined or special composite mandrels that allow us to achieve the surface accuracy of better than a RMS .020 of an inch. The choice of material is aluminum, which gives strength, yet cuts down on the weight. 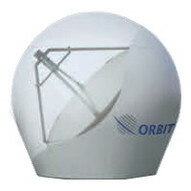 Description: 3.1 Meter Receive only Prime Focus antenna. We offer one piece or Sectional antennas in sizes ranging from .6m up to a 5.0 meter. All of our antennas are spun out of aluminum on our steel mandrels to ensure a perfect parabolic curve. While the installation of a one piece is quicker than our Sectional Antennas, delivery of our one piece antennas will be more than our Sectional Antennas.8-peace prime Aluminum 385lb 68"x48"x19"
Description: 3.8 Meter Receive only Prime Focus antenna. We offer one piece or Sectional antennas in sizes ranging from .6m up to a 5.0 meter. All of our antennas are spun out of aluminum on our steel mandrels to ensure a perfect parabolic curve. While the installation of a one piece is quicker than our Sectional Antennas, delivery of our one piece antennas will be more than our Sectional Antennas. Description: 4.2 or 4.5 Meter Receive only Prime Focus antenna. We offer one piece or Sectional antennas in sizes ranging from .6m up to a 5.0 meter. All of our antennas are spun out of aluminum on our steel mandrels to ensure a perfect parabolic curve. While the installation of a one piece is quicker than our Sectional Antennas, delivery of our one piece antennas will be more than our Sectional Antennas. Description: 5 Meter Receive only Prime Focus antenna. We offer one piece or Sectional antennas in sizes ranging from .6m up to a 5.0 meter. All of our antennas are spun out of aluminum on our steel mandrels to ensure a perfect parabolic curve. While the installation of a one piece is quicker than our Sectional Antennas, delivery of our one piece antennas will be more than our Sectional Antennas. Description: 160° of Travel Travel Time of 4 Min. 37 Sec. to Cover the 160° Arc Infinite Adjustments for Elevation for Precise Aiming Heavy Bronze Bushings for Extended Life Performance Four Strut Feed Assembly with Feed Collar 36 Volt DC Motor for Accuracy Heavy Duty Gearbox w/Chain Drive Eight Back Braces for Stability Available in 16 tab design for both DH one-piece and sectional antennas. Optional: Motorized Power Declination for Tracking Inclined Orbit Controllers w/Two Speed Motor control for Pinpoint Accuracy, Non-Volatile Memory, Polorotor Interface, and Software Controlled Limits TX stand or Base Post Hot Dip Galvanizing Non-Penetrating Roof Mount Electronics, Feed Horns, LNBS, Controllers, Cabling Half Dish Deicing.dishes. Description: Custom Dish size. No drill / hole Options. No Paint or Primer. Can Spin any size reflector. Art projects - Architectural Design - Props - Set Design - Projected Energy Parts & Accessories. Equipment for the broadcast industry. Equipment for your home or business. 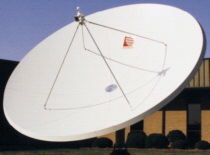 Whether it's an art project, production prop, DOD research, architectural design, cooker, roof / hood, solar, experimental DIY, sound /energy, weapon, scientific, moon bounce, radio astronomy or other unique projects, we at SatelliteDish.com are here and committed to providing you with a friendly, timely and accurate solution. 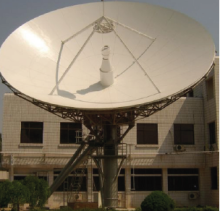 Anhui is a manufacturer of a wide range of Satellite TV products, our main series now include Linear Actuator, Mesh Satellite Dish antenna's, H-H Motor, Multi switch, Offset Dish Antenna's, LNBF and Satellite Finders. Description: 10 Foot T-Lock Black Mesh Dish T-lock & screw attached Digital mesh. (10ft) C/Ku-Band polar mount prime focus mesh satellite dish. 8-panel construction 24" Polar mount BOX 1 62"x48"x11" Pie (72 lbs) BOX 2 37"x37"x7" Rectangular (65 lbs) Use 4 1/2 " OD pole. 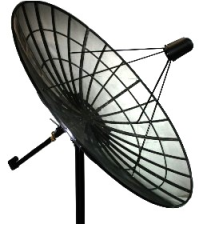 Description: 10 Foot Black Mesh Dish T-lock & screw attached Digital mesh. (10ft) C/Ku-Band polar mount prime focus mesh satellite dish. 8-panel construction 24" Polar mount BOX 1 62"x48"x11" Pie (60 lbs) BOX 2 37"x37"x7" Rectangular (65 lbs) Use 4 1/2 " OD pole. 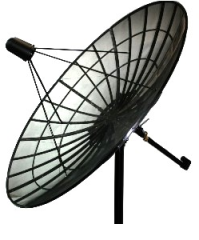 Description: 12' foot 3.8 meter Black Mesh Dish Digital mesh. 36" Polar mount. (12ft) C/Ku-Band polar mount prime focus mesh satellite dish. 8-panel construction for fast clean assembly. BOX 1 72"x54"x11" Pie (85 lbs) BOX 2 41"x41"x12" Rectangular (90 lbs) Use 4 1/2 " OD pole. Description: 12' foot T-Lock 3.8 meter Black Mesh Dish Digital mesh. 36" Polar mount. (12ft) C/Ku-Band polar mount prime focus mesh satellite dish. 8-panel construction for fast clean assembly. BOX 1 72"x54"x11" Pie (97 lbs) BOX 2 41"x41"x12" Rectangular (90 lbs) Use 4 1/2 " OD pole. 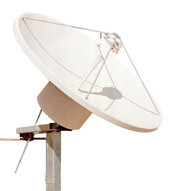 Description: 14' foot T-Lock 4 meter Black Mesh Dish Digital mesh. 36" Polar mount. 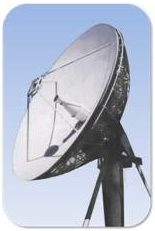 (14ft) C/Ku-Band polar mount prime focus mesh satellite dish. 8-panel construction for fast clean assembly. BOX 1 84"x54"x12" Pie (116 lbs) BOX 2 44"x44"x12" Rectangular (125 lbs) Use 5 " OD pole. Description: 16' foot T-Lock 4.8 meter Black Mesh Dish Digital mesh. 36" Polar mount. 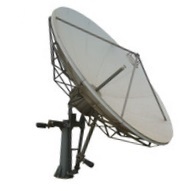 (16ft) C/Ku-Band polar mount prime focus mesh satellite dish. 12-panel construction for fast clean assembly. Use 5" OD pole. Description: 18' foot T-Lock 5.48 meter Black Mesh Dish Digital mesh. 48" Polar mount. 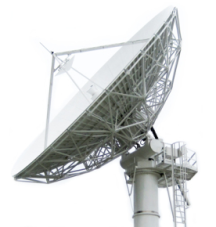 (18ft) C/Ku-Band polar mount prime focus mesh satellite dish.16-panel construction for fast clean assembly. Use 6.5" OD pole. Description: 20' foot T-Lock 6.1 meter Black Mesh Dish Digital mesh. 48" Polar mount. 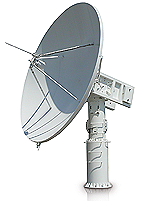 (20ft) C/Ku-Band polar mount prime focus mesh satellite dish.16-panel construction for fast clean assembly. Use 6.5" OD pole. ORBIT is a leading global provider of technology based Mission Critical integrated communication solutions. We develop, integrate and install end-to-end turnkey communication solutions and services for air, sea, land and space applications. Based on a customer-centric approach, we offer integrated turnkey solutions for defense, government and commercial organizations. Description: AL-3400 series systems constitute a self-contained elevation-over-azimuth tracking solution for L/S/C-band links providing high performance under the most demanding operational conditions. The system may be ground-based, transportable, or shipboard (with additional stabilization) for applications such as satellite imaging, high-altitude flight tests or long-range missile tracking. Description: AL-1800 series systems constitute a self-contained elevation-over-azimuth tracking solution for L/S/C-band links providing high performance under the most demanding operational conditions. This flexible system may be ground-based, transportable, or shipboard (with additional stabilization) and can serve a wide range of medium range applications such as UAV command and control, aircraft flight test and missile telemetry. 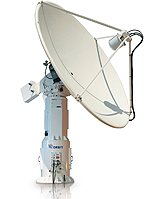 Description: The ORBIT Gaia-200 Ground Station is uniquely equipped to address the most demanding challenges of LEO and MEO satellite tracking. The Gaia 200 family offers a wide range of tracking systems, with antennas ranging from 3.7 to 5.5 meters. ORBIT’s highly accurate tracking systems are proven to guarantee a stable and highly efficient data link throughout the satellite pass, even under heavy winds and in harsh environments. 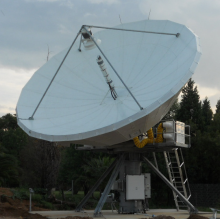 Thousands of satisfied customers worldwide rely on ORBIT for their satellite tracking needs. Our experience and unsurpassed track record across a diverse range of applications make ORBIT the natural choice for your next earth observation ground station. ORBIT’s comprehensive support covers consulting, development, deployment, training and various warranty programs tailored to fit your needs. ORBIT Gaia-100 3.7M Earth Observation Ground Station 3.7M reflector covered in 4.3M high Radome to operate anywhere, anytime. Description: Low Earth Orbit (LEO) satellites are constantly encircling our globe, providing visible imaging, radar screening and spectral analysis of our planet. To benefit from the data captured by these satellites, a fast and reliable communication link must be established between the moving satellites and the ground station. 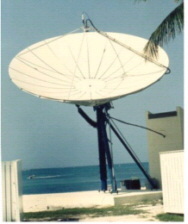 Communication can be established only when there is a line of sight between the satellite and the ground station. For LEO satellites, this “window” typically lasts only a few minutes and it is required to get the most of it. There is no second chance for downloading - important decisions depend on the reliability of this communication link. 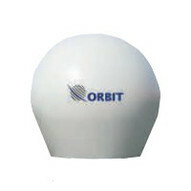 ORBIT’s mission-critical ground station solution is designed precisely to make sure you never lose crucial data. Description: Today, more than ever, the need to observe our planet has become an essential part of our daily activity. The earth is frequently monitored, analyzed and measured by governmental agencies, defense forces and the private sector. From weather monitoring to disaster control and oil & gas exploration, earth observation data is vital to a host of applications that profoundly affect our lives. Low Earth Orbit (LEO) satellites are constantly encircling our globe, providing visible imaging, radar screening and spectral analysis of our planet. To benefit from the data captured by these satellites, a fast and reliable communication link must be established between the moving satellites and the ground station. Communication can be established only when there is a line of sight between the satellite and the ground station. For LEO satellites, this “window” typically lasts only a few minutes and it is required to get the most of it. 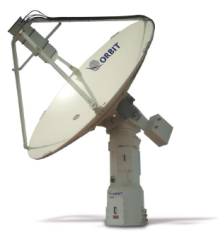 In response to the telemetry market’s growing adoption of C-band frequencies – in addition to L and S bands commonly used today - ORBIT’s new triple-band feed system provides a state-of-the-art solution for simultaneous operation in multiple telemetry communication frequency bands. 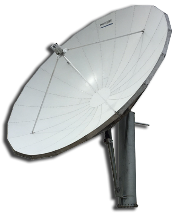 Based on its concentric coaxial cavity technology, ORBIT can offer a single feed supporting all three bands for any antenna reflector size. Description: AL-4800 series is a self-contained elevation-over-azimuth tracking solution for L/S-band links providing high performance under the most demanding operational conditions. This flexible system may be ground-based, transportable, or shipboard (with additional stabilization) and can serve a wide variety of very long range applications such as weather radar, long-distance aeronautical telemetry (e.g., space vehicles monitoring, airliner and military aircraft tests, weather balloons) and earth observation and remote sensing from Low Orbiting Satellites (LEO). Description: AL-4800 The antenna motion system is based on integrated, state-of-the-art, digital servo amplifiers (DSA) providing a simple RS-422 position control and readout interface. The Auto-Track function is based on a high-performance E-scan type angle discriminating antenna feed. 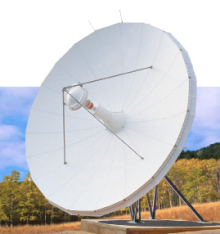 Supporting different types of antennas, slip rings and rotary joints, the AL-4800 series systems can be adapted for a wide variety of pointing and tracking applications such as long-distance telemetry and TT&C, weather radar and more. 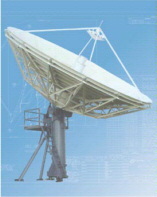 Description: Superior, high gain satellite tracking performance. The Gaia-300 Earth Observation series is designed to meet the high gain requirements of LEO and MEO satellites. Supporting antennas ranging from 5.5-7.3 meters, these high-capacity ground stations are built to download data reliably from horizon to horizon even under cloudy sky conditions. They are commonly deployed for satellite owners, government agencies and large resellers. 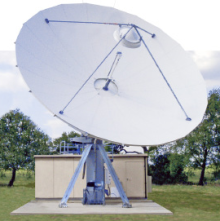 Description: Ka-Band Ready While future satellites will use Ka-band as a standard for high bandwidth communication with the ground station, Ka-band also introduces technical challenges, particularly for large aperture antennas. 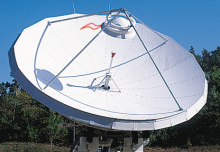 Orbit’s Advanced Control Loop algorithm is embedded in all Gaia products, delivering maximum system accuracy to support the rigorous Ka-Band requirements. Gaia’s Ka-ready technology ensures that your ground station is equipped to accommodate the next generation of satellites. 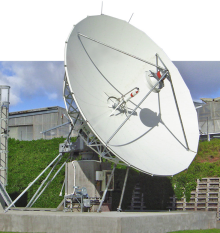 Description: Orbit offers a range of solutions for any scale - from highly accurate tracking antennas all the way up to a complete turnkey ground station solution that includes high data-rate receivers, mission control software and more. The Gaia ground stations operate under extreme environmental conditions to meet the needs of a broad range of challenging applications.The Gaia family is based on advanced elevation over azimuth pedestal technology with tilt correction to assure full hemispherical coverage with no keyhole at zenith. 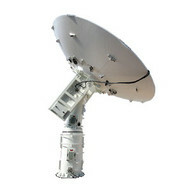 Description: The ORBIT Gaia-400 Ka-Band ready While future satellites will use Ka-band as a standard for high bandwidth communication with the ground station, Ka-band also introduces technical challenges, particularly for large aperture antennas.Orbit’s Advanced Control Loop algorithm is embedded in all Gaia products, delivering maximum system accuracy to support the rigorous Ka-Band requirements. Gaia’s Ka-ready technology ensures that your ground station is equipped to accommodate the next generation of satellites. We still have access to the Comtech dish molds, antennas and parts as well as many others retrofit kts. Parts and accessories. Unimesh - Superior Antenna - SAMI - Lazor - Winegard - Birdview - Patriot - Comtech - Harris - GDSATCOM - Channel Master - Ravin - ASC Signal - Falcon - Paraclipse - Prodelin - Andersen - SeTel - Skyware Global - KVH - Cobham - DX - ARA - Research Concepts. Description: Truss-ribbed structure Heavy-gauge, steel mount. Antenna and all steel components sealed and protected with a SMOKE-BLUE color, baked-on, powder-coat finish. Aluminum ribs and rings sealed and hardened with a corrosion-resistant Discontinued Dish. Description: Truss-ribbed structure Heavy-gauge, steel mount. Antenna and all steel components sealed and protected with a SMOKE-BLUE color, baked-on, powder-coat finish. 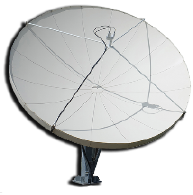 Description: The 5.0 meter inclined orbit antenna system utilizes a dual axis polar mount to accommodate both inclined and geostationary orbit satellites. Designed for C and Ku receive operations, the system can be used for either U.S. domestic or international reception. Description: Plenty of 1.0 meter dishes and 1.2, 1.8 standard offset antennas. Please call for latest pricing. Optional equipment: motor drive systems, controllers, anti-icing systems, LNB's, Feedhorns and BUC's to get the right assembly as needed. All of the antenna mounts are designed to withstand wind forces in excess of 140 mph. We have several dish options available for you, please call or visit the homepage. 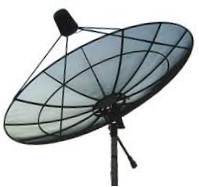 There are many antenna options available: Prices are subject to change based on Frequency, Feedhorn, Reference, Axis, Optics, Mounts, Data Rate, Band, Interface, Power and Motor Configuration, Please Call. 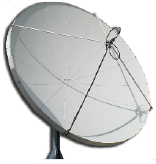 All dish antennas are available in different Feed, LNB and Motor / Mount configurations. TX/Rx - Transmit & Receive BUC - Cross - Linear Polarization - Circular Polarization - Ports. Bands: S-Band - C-Band - X-Band - Ku-Band - Ka-Band - W-Band - Q-Band - V-Band - DBS-Band - Tri-Band - S-Band - UHF-Band - L-Band - Multi-Band. Horizon-To-Horizon, Polar Mount, Gimbal, AZ/EL, Three Axis, Dual Axis or Motorized Declination. Extremely wide range of configuration options and supported accessories available, Prices may vary. 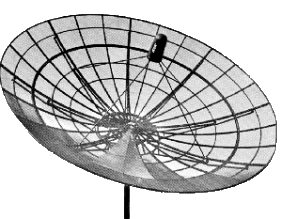 Base Antenna Configuration. LINK BUDGET: A link budget enables factors such as the required antennas gain levels, radio transmitter power levels, and receiver sensitivity figures to be determined. Please complete the following form to ensure proper configuration. Satellite Bands-Wikipedia Satellite frequency-Wikipedia DBS-Wikipedia Communications satellite-Wikipedia Telecommunication-Wikipedia Broadcasting-Wikipedia Antennas-Wikipedia Parabolic-Wikipedia Satellite Dish-Wikipedia Satellite Television-Wikipedia We have wood crating for export ISPM 15 stamped lumber available. Pulsed Products - Military Satcom - Ring-Loop - Block Upconverters - Inductive Output Tubes (IOTs) - Ring-Loop TWTs - Multi Pulsed Products - Minis - CW Oscillators - Pulsed Oscillators - Coupled Cavity - RF Decks - Power Couplers - Inductive Output Tubes (IOTs) - Klystrodes - Broadcast - Scientific - Non-broadcast Applications. K2D110w - K27 - millimeter wave - Power Couplers - oscillator power-amplifier systems - redundant or combined systems. - coherent radar chains - cathode or an electrode - multi-stage depressed collector - Millimeter Wave - Gyrotrons - Oscillators - Klystrons - Coupled Cavity - Fully qualified to MIL-E-5400 environment - Couplers - L, S, C, X, Ku and DBS-band feed configurations S-Band C-Band X-Band Ku-Band Ka-Band W-Band Q-Band V-Band DBS-Band Tri-Band S-Band UHF-Band L-Band Multi-Band.